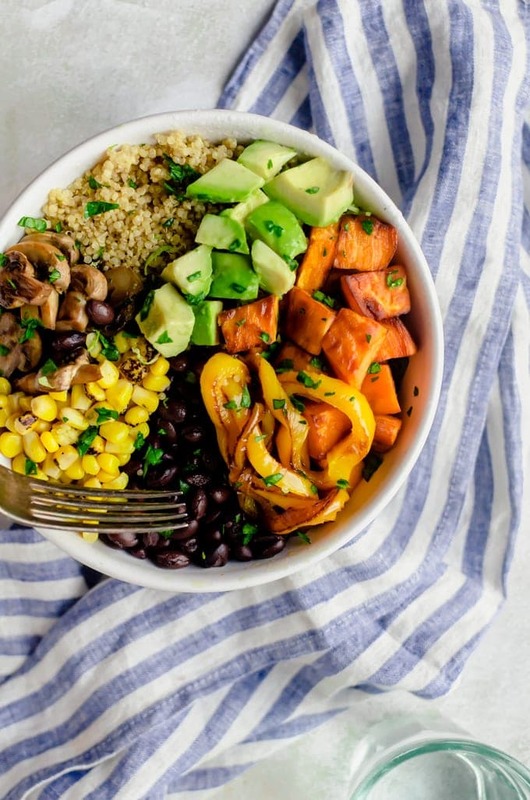 Lunch got so much better with the help of this chipotle veggie bowl. 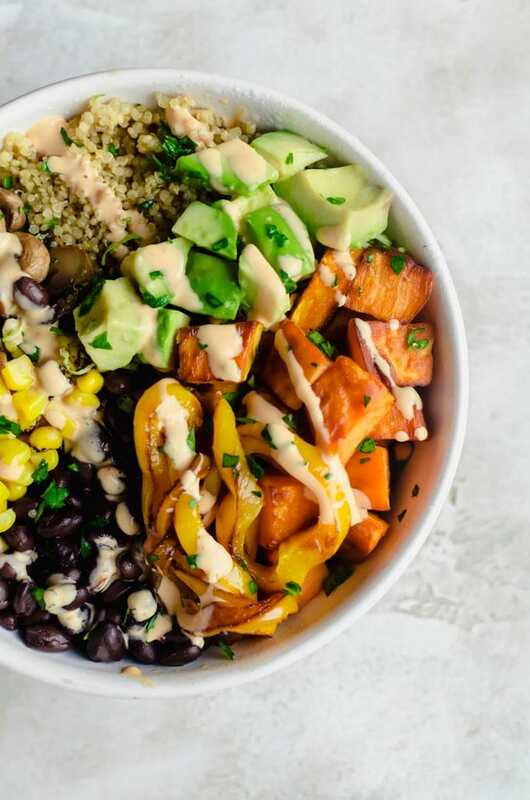 Cilantro lime quinoa, roasted veggies, and cilantro lime black beans come together in a healthy, and flavorful bowl topped with a creamy chipotle sauce. I should probably begin by stating that this recipe has nothing to do with the restaurant, but I will say it is a much better replacement in my opinion. 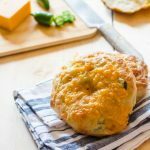 It has tons of veggies and is super filling. I don’t do a lot of meal prepping, but I do like to meal prep this chipotle veggie bowl for me to eat during the week since it makes enough for about four bowls. For the base of my chipotle veggie bowl, I switch between different grains, but I tend to reach for Vigo Quinoa the most. 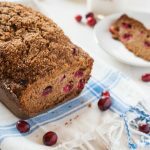 I love it because it is a good source of protein on its own and has a ton of essential amino acids. 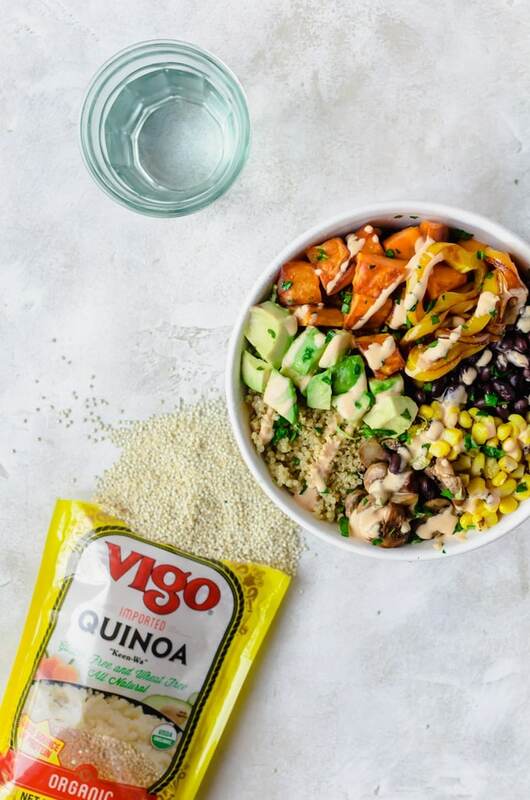 The Vigo quinoa cooks up light and fluffy with a nice, delicate nutty flavor which goes well with the chipotle veggie bowl. Since it’s an organic whole grain that is also gluten and wheat-free, I don’t mind sharing my bowl with any hungry friends who stop by. 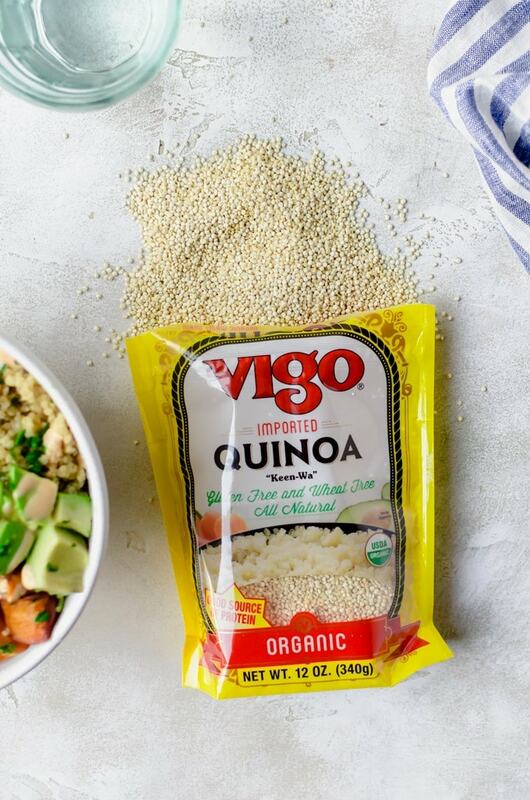 You can find Vigo Quinoa and other Vigo products at your local supermarket shop Vigo’s online store. The recipe used all roasted veggies, plus beans which are cooked separately. What I like to do is bake everything I can on one sheet. I start with the veggies that take the longest to roast, and slowly add the others according to their roasting times. This way I can get it all done at once and minimize the dishes I need to wash. To keep things simple, I use precooked black beans, but I reheat them by boiling them quickly. This also gives me more of an opportunity to flavor them more. One of my favorite parts of this chipotle veggie bowl is the creamy chipotle sauce. I use it for everything. It makes a great salad dressing as well as a marinade for chicken. It’s only a few ingredients and will last you for longer than the bowls you make. Plus, you can adjust the spice level by how much chipotle you add in it. As it is, you get some spice, but it isn’t actually spicy. I know everyone has varying spice tolerance levels, so taste as you go. You can add more chipotle, but you cannot take away. 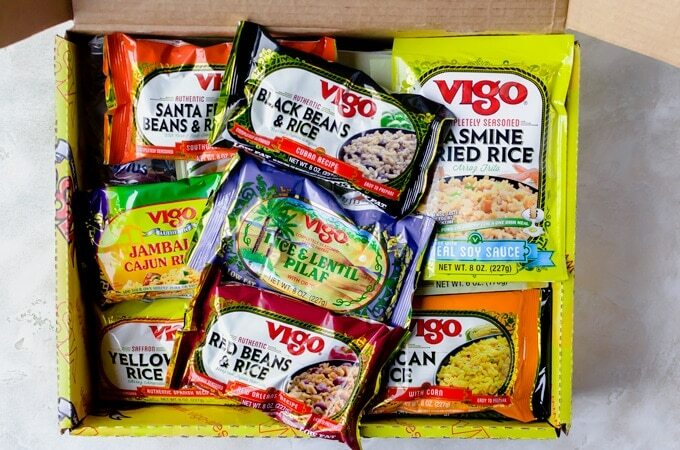 You can also win an amazing box of Vigo products, some of which you can see here in this box. 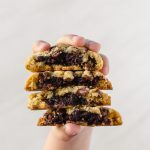 Just enter the rafflecopter below the recipe! This easy chipotle veggie bowl will become your favorite weekday lunch. 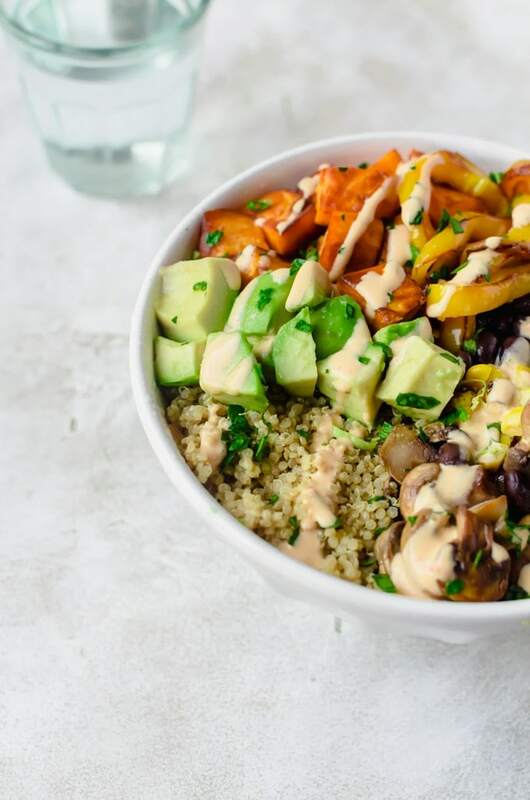 Roasted veggies, cilantro lime quinoa, and a creamy chipotle sauce make this bowl a super fun and healthy way to get your veggies in! In a saucepan, mix together the ingredients for the quinoa and heat on medium high. Cook for 20 – 30 minutes, or until liquid is absorbed. Fluff the quinoa with a fork. While the quinoa is cooking, toss the sweet potatoes with the oil and place on a baking sheet. Roast for 15 minutes, then flip the potatoes. 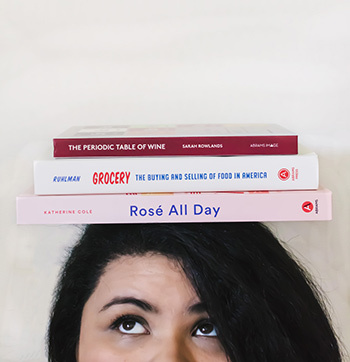 Add the remaining ingredients for roasting and rose for an additional 15 – 20 minutes, flipping halfway through. Add the corn and half the water to a small saucepan. Add the black beans, remaining water, garlic, cumin, bay leaf, lime juice, and salt into another small saucepan. Cover and heat both for about 5 minutes. Remove the bay leaf from the beans and drain both the corn and beans. Make the chipotle sauce by adding all the ingredients to a blender and blending until smooth and creamy. Add the cooked quinoa and veggies to a bowl. Top with avocado and the chipotle sauce. Serve hot, warm, or cold. I love the red rice and beans! I like to prepare it with cheese melted on top. I haven’t tried it before but it looks delicious! I haven’t tried Vigo products before, but they sound great! The one that sounds best to me is the black beans & rice. I’ve never tried Vigo products before, but these look amazing! I haven’t tried this brand yet.